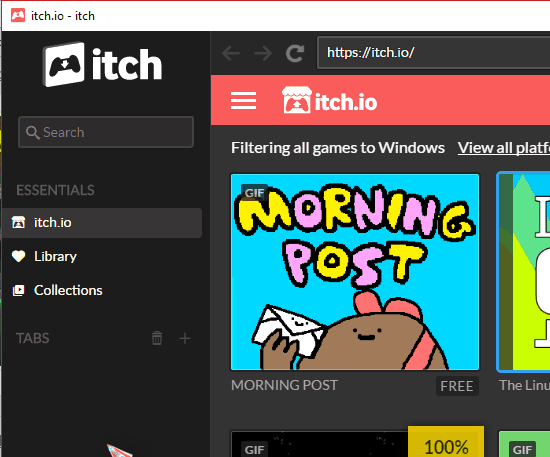 itch.io is a free Game store for Windows to download and play Indie games. Basically, it is the desktop client of itch.io website on which you can create a gaming profile to play games of various genres and even distribute your own games if you are a game developer. 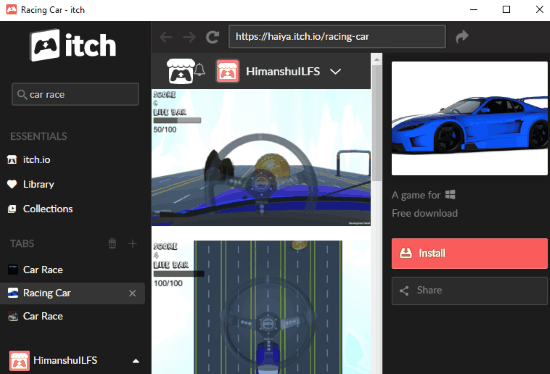 From this itch.io desktop client, you can download games and play games submitted by various users on itch.io gaming community. The games are not quite advanced as other Windows games that you might have played earlier but you can find some interesting and unique storylines to get over your boredom. There are a lot of gaming genres to explore like horror, mystery, first-person, 3D, endless, etc which you can explore to discover a game that matches your interest. You can download games from any of these gaming genres and choose to play it in the full-screen or windowed mode. You can also configure graphics resolution and quality to play the game in faster gameplay. What excites me more is the fact that most of the games on this game store are free to play (around 53,000), except some. Another exciting feature of itch.io is that it is also available for Linux and Mac. So, it doesn’t matter which operating system you are using, you can enjoy the free indie games from it. However, I have just tested it for Windows, so, I can’t say how it will work for Linux and Mac. If you love to play DOS games, then you can check out Game Downloader which provides free old DOS based games from 14 different categories like arcade, puzzle, board, etc. Download itch.io from the link at the end of this review and then run the downloaded EXE file. After that, itch.io game store opens up as shown in the main screenshot of this review. The main interface is quite nicely set up and it is fairly easy get familiar with it. It loads up itch.io web interface on the most part of the interface. There is a left panel from which you can quickly access all the downloaded games and view your itch.io profiles. One of the features that I liked the most about its interface is that you can work on multiple tabs to explore games and manage itch.io profile. You make the most of the search bar which allows you to find the games of your interface. Type the keyword in the search to find the related games on itch.io or you can use its tag explorer to find free games of a particular genre. I mostly like racing and strategy-based games like Clash of Clans, so, I searched for car race to see what I can get from this free game store. It quickly loaded the results in a floating dialog box, as shown in the screenshot below. You can click on any game on the search results to read its description and screenshots. When you click on any of the game results, the game is opened in a new tab in the game store, as shown in the screenshot below. If you like the game storyline and get an urge to play the game, then you can install it by clicking on the Install button, as shown in the screenshot below. Do note that by default it shows games for all platforms i.e. Linux, Windows, and Mac. So, keep an eye on the platforms listed below the game names in the search results. itch.io then downloads the game and installs it. Another handy option offered by this free multi-platform gaming store is that you can choose to pause and resume game downloads. You can manage the game downloads from the “Downloads” tab in the left panel. Once a game is installed, it notifies you by a desktop notification and you can find the installed game in the Library tab. Simply click on the Launch button which opens up a set of options to improve the gaming experiences for systems running low in configuration. From the game configuration dialog box, you can set the visual parameters and change the default game controls for that game. 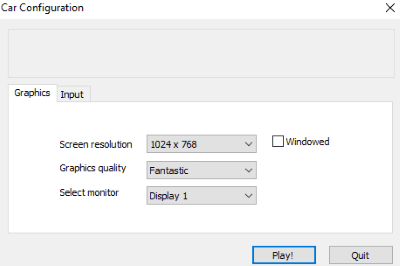 By default, the game is loaded in the fullscreen mode but you also get the option to choose to play the game in fixed size windows. Select the “Windowed” option to play the game in a fixed sized window that can’t be resized. If you have low configuration PC then consider changing the Graphics quality to Fast and then play the game to see a boost in the gameplay. You can even use these game boosters for this purpose. To see the game controls, switch to the Input tab where you can see all the keyboard controls to play that game. Double-click on any control entry to change it. Once you are done configuring the game graphics and controls, click on the “Play!” button to play the game. 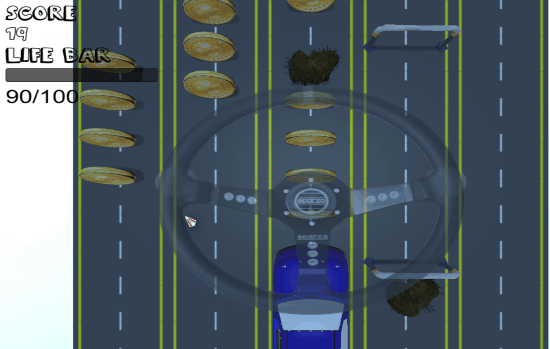 The screenshot of a car race game that I chose to play is shown in the screenshot below. Another unique feature of itch.io app is that it lets you play games in a sandbox to ensure some sort of security from the apps and games that might try to steal your data. To turn on its sandbox feature, go to the game store preferences and select the “Enable itch.io sandbox” option. Now all games that you play in itch.io will be launched in its sandbox. 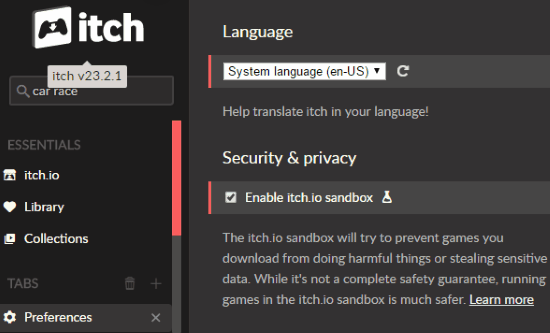 You can also use any of these sandbox software to launch the itch.io app in a secure environment and ensure maximum privacy. To uninstall the games, go to your game library and click on the Uninstall button. 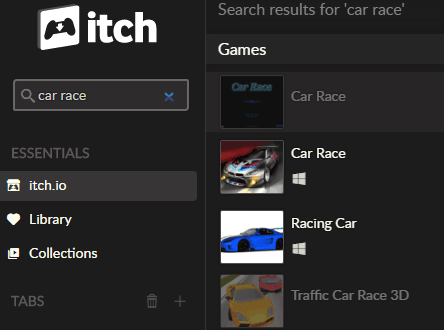 itch.io is a free game store for Windows on which you can find more than 50,000 indie games to place. A variety of genres from mystery to horror are available for gamers of all ages and gender with unique storylines, which I am quite sure you will certainly like. Additional features of this indie game store are what make me love it more i.e. download multiple games at once, pause game downloads, apply some tweaks to faster gameplay in low configuration PCs. If you are a game developer instead, then you can distribute your work to the community and see other gamer’s reaction to it.